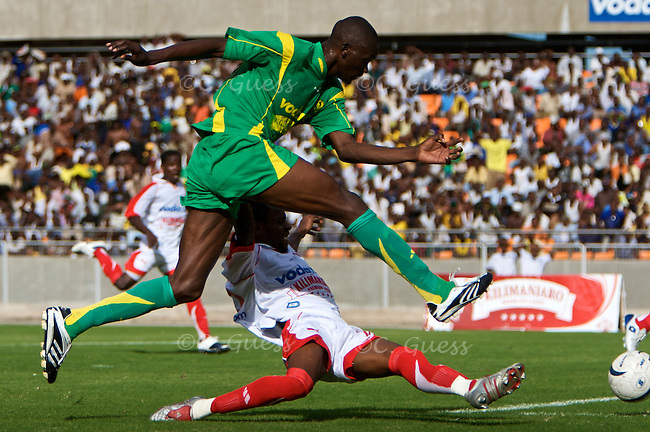 A Yanga player jumps over his Simba opponent on his way to the goal. Simba played the Yanga Bomba football team in Dar Es Salaam, Tanzania on Sunday, October 26, 2008. Yanga won the match 1-0.